Jimbaran area is one of my favorite areas in Bali. While it´s located in the south it might took me some time to get there from my apartment in Kuta but it is totally worth the ride. Especially in terms of eating out I found some of the best restaurants over there. Today I will share my 4 favorites eat outs in Jimbaran area with you guys..
Cuca is a Spanish inspired cuisine. One will only be served with tapas over here, which is all right, since the tapas are more like a medium sized dish. The food is very creative and combines various spices and flavors. The concept is very casual. As tapas, are perfectly tailored for sharing, this is a wonderful place to go with friends and groups. However, Cuca also offers a more sheltered area inside, where one has the option to shelter with a curtain around the table. Cuca is set has a huge garden area and invites kids as well. All the food comes from Indonesia and is all local by Indonesian famers. Prices start from Rp. 45,000. Beside the food also the bar is worth a visit. I highly recommend the big apple. Feel free to lean back and enjoy. 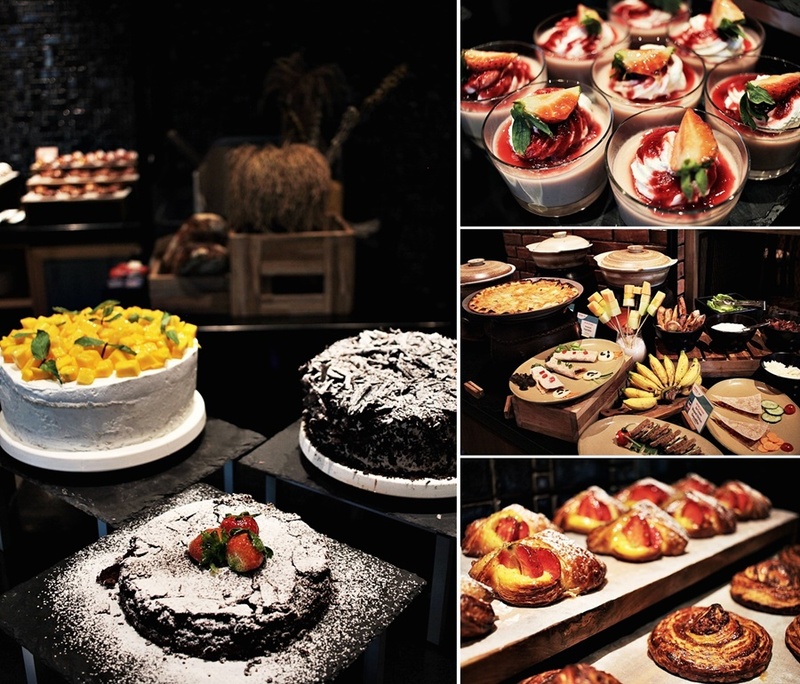 If one´s in Bali on Sunday one must attend the weekly Sunday Brunch at the Mövenpick Hotel in Jimbaran. While the hotel just recently opened this 5-star luxury accommodation already became a hotspot for locates and visitors from all over the world. The brunch features food from all over the world for all kind of diets and tastes. The Sunday brunch has an indoor, so as an outdoor area. One will also find a sushi and a fresh juice bar, which is all included in the pricing. All the foods are fresh. It is a heavenly place for the so-called foodies but however a must do for everyone. The brunch also features specific food for the kids. The brunch is opened every Sunday from noon to 4PM and includes live music and an all you can eat. It is located at the Anarasa restaurant in the first floor, close to the pool area. 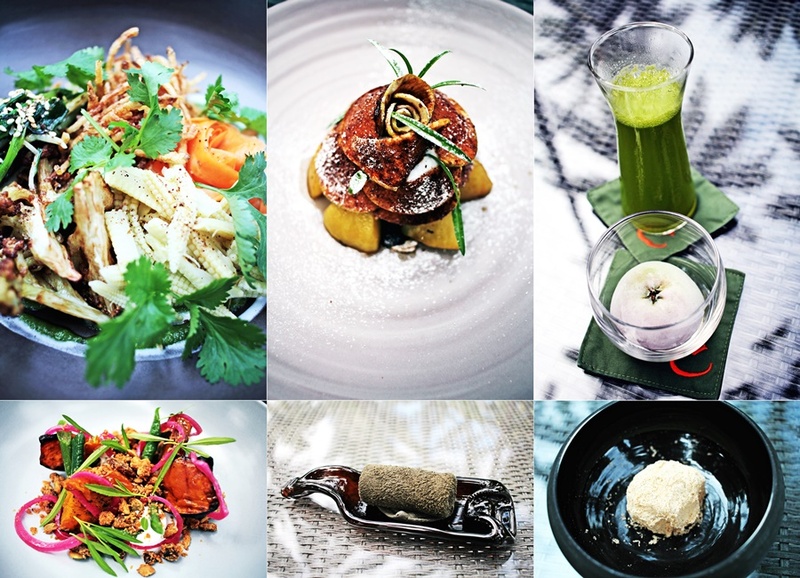 If you are more into the fine dining and want a break from the crowd the Kayumanis Jimbaran is your place to go, more specific the Resto restaurant, which has just opened a couple months ago. Resto focuses all on local Indonesian food. The location is quiet and rounded by a huge garden area and some small water places. Resto is a wooden house with a terrace and comfortable seating areas. Beside the outside area one will also find space for private dinners. Resto also features a bar. The interior is all inspired by Balinese culture, one will find the typical patterns all over the place. This place is very significant for its small and unique details. A unique food experience for guests of the hotels and walking in guests as well. 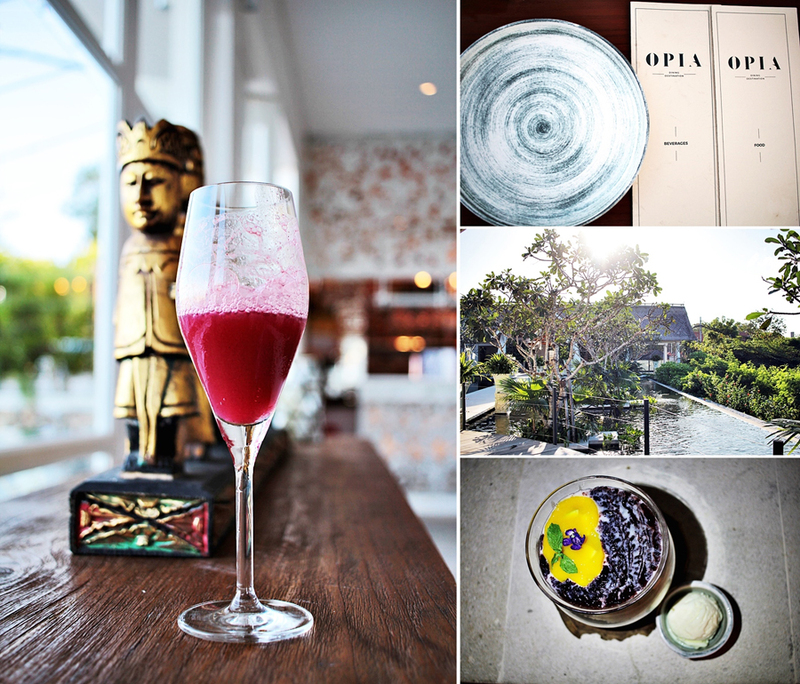 The Opia restaurant was my last stop in Jimbaran, before moving to the next area. 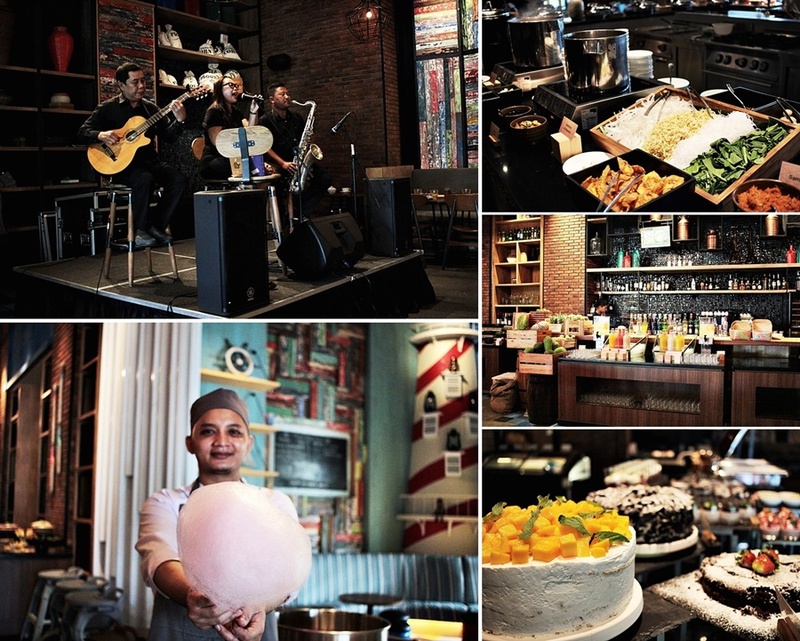 Opia is not a usual restaurant, it is more known as an event location and for events, instead of for walk-ins. 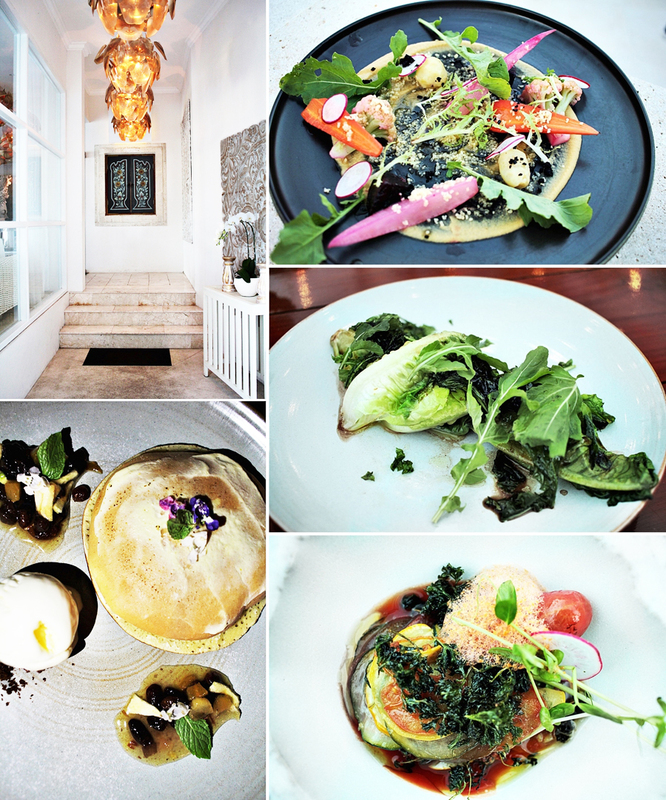 However, Opia is also opened for walk ins and offers a culinarily highlight. The cuisine is more upper class but worth every penny. While it is above the average pricing it is still not too expensive and reasonable for the food quality. Opia is an experience, but for real - you will rarely find a place like this in general. Located on a hill, a little hidden from the main attractions one will enter a garden and water place paradise with a wedding chapel and a huge harden area. The interior is all clean and very into details and upper-class design. The food is amazing. Especially the warm summer salad is a must do, my favorite. While I first wondered of having only a plate with green leaves, this dish is a great combination of spices and flavors. The menu also features vegan options, while the food is still more focused on meat and seafood in high quality. The menu is designed with one of the owners, who is vegetarian and a chef who used to work in Dubai. This is upper class cuisine on a great printing with a location that is not comparable to another place I have ever been to. Opia opens every day by 5PM until 11PM and even features live music. I can highly recommend doing a reservation for Friday night. Jl. Bukit Permai No.2, Jimbaran, Kuta Sel.